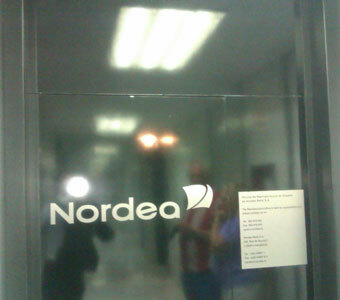 Jesper Hertz, Danish Chief Representative of Nordea’s one-man band Marbella office, did not allow 2 long-standing customers of the bank enter the office and equally, refused to provide them with the complaints book, which is obligatory. No sooner had he opened the door and saw the former Golf club friends than he was quick to give them the cold shoulder and ban them from accessing, what is -in short-, a public establishment. He then refused again to provide us with the complaints book on grounds that, being a Representation Office, they were not under such obligation and directed us to…Luxembourg. We obviously didn’t bother with the coffees. So the complainants had no option but to call the Local Police to report another token of Nordea’s legendary lack of compliance with Spanish laws. It is now clear that all banks offered the Equity Release products as a way to reduce or eliminate Inheritance Taxes. They used, for that purpose, all manner of publicity, promotional literature, fliers, ads etc. It now appears that this is not true, and yet banks say that even if they did make those assertions, the contracts said something different and as such, they would not be held liable. It transpires now that the law will allow Equity Release victims to demand that Inheritance Tax breaks do actually happen, pursuant to the old Consumers Association Act (valid till November 2007). Shall they therefore be entitled to ask the Government to change the laws? Or rather, just ask the Judge to bin these scam contracts due to its fraudulent nature? The offer, promotion or publicity of products, activities or services, will adjust to its nature, characteristics, conditions, utility or finality, without prejudice to what is established in the laws pertaining to publicity and in accordance to the principe of conformity with the contract regulated in its specific regulation. Its content, the specific characteristics of each service or product and the conditions and guarantees offered, will be demandable by users and consumers, even where not expressly specified in the contract or in the document or receipt received. Notwithstading the above, if the contract had more beneficial terms and conditions, these will prevail over the content of the offer, promotion or publicity. The offer, promotion of false publicity of products, activities and services will be persecuted and fined as fraud. The Consumers Association will be authorized to initiate and intervene in the procedures legally established to ensure the banks cease to do so.